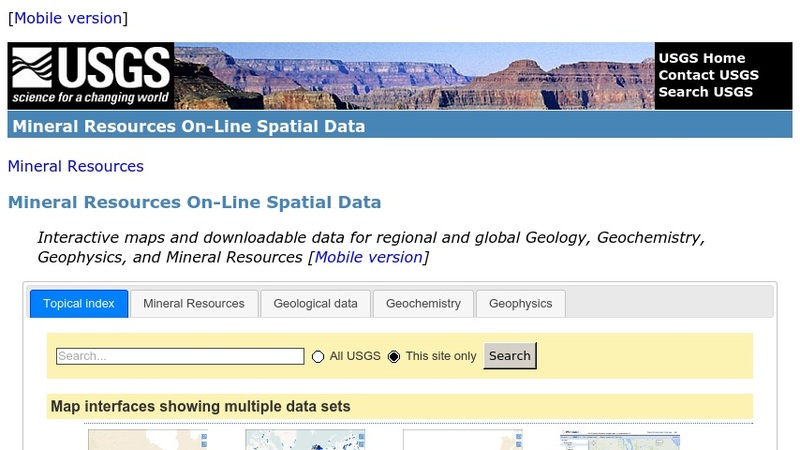 This site is provided by the Mineral Resources Program (MRP) of the U.S. Geologic Survey. It is an online geographic information system which covers Earth and the United States. Layers which can be turned on and off feature information on mineral resources, soils, sediments, geologic features, cultural features, land cover, elevation, gravity data, and magnetic data.